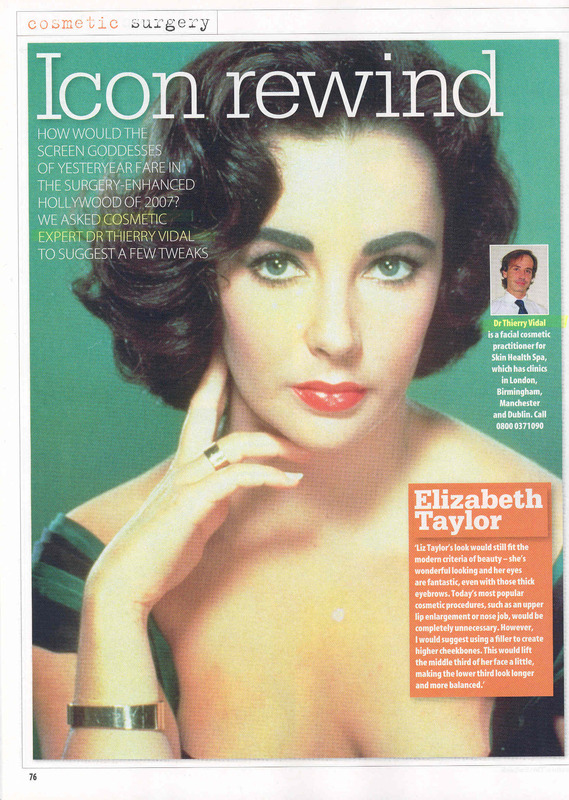 Tag Archives: liposuction london . Dr Vidal . outer thighs before laser assisted liposuction. Dr Vidal. London . 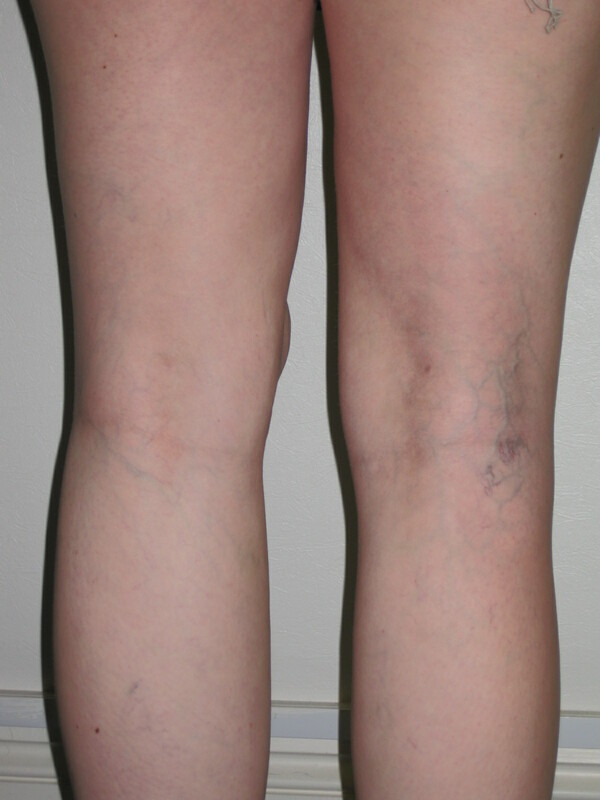 Outer thighs after laser assisted liposuction. Dr Vidal. London. Liposuction London clinic for refining and resculpting knees, thighs, abdomen, back and love handles. London Marylebone Clinic Skin Oasis Clinic 25-27 George Street W1U 3QA London. 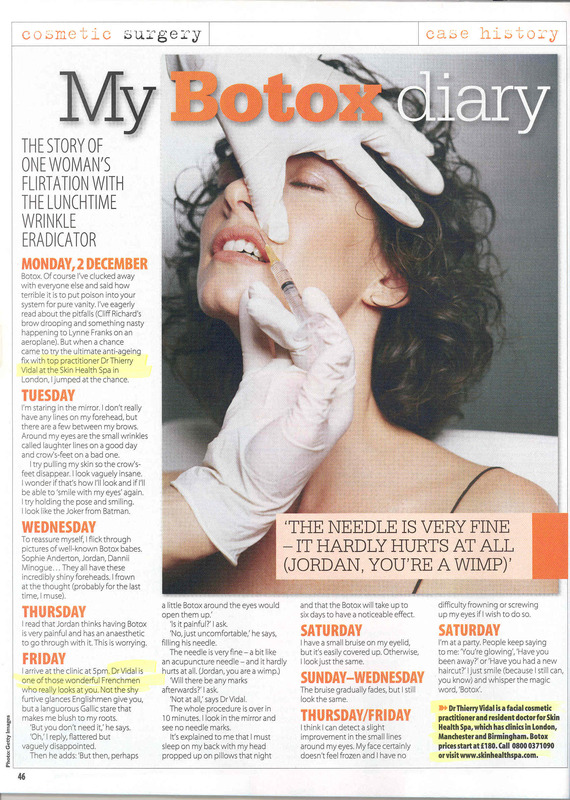 Dr Vidal is a medical cosmetic doctor specialised for laser assisted liposuction with local anaesthesia. The procedure is a “day surgery” which means the patient can leave the clinic when the treatment is achieved. Get rid of unwanted and disgracious fatty bulges, fatty knee, saddle bags, etc. and excellent skin tightening for optimal and aesthetic results. see liposuction london results here . Areas such as knees are difficult to access with the traditional techniques. Laser assisted liposuction can very precisely refine the knee with great skin tightening. Dr Vidal has more than 10 years of experience in laser liposuction . Costs £ 2500- £ 3000 depending on the area treated. Consultations , prescriptions and follow up visits included. The knee is a highly important part of the silhouette and allure. Fatty knees can just be a cosmetic problem but sometimes they also may be a functional problem with poor lymphatic and veins circulation due to fat accumulation and pressure creating swelling, heaviness and discomfort. Knee liposuction can be rewarding on both aesthetic and functional issues. The most common complaint about knees is : “I can’t wear what I want to !“. Skinny jeans, dresses, skirts, high boots… etc. 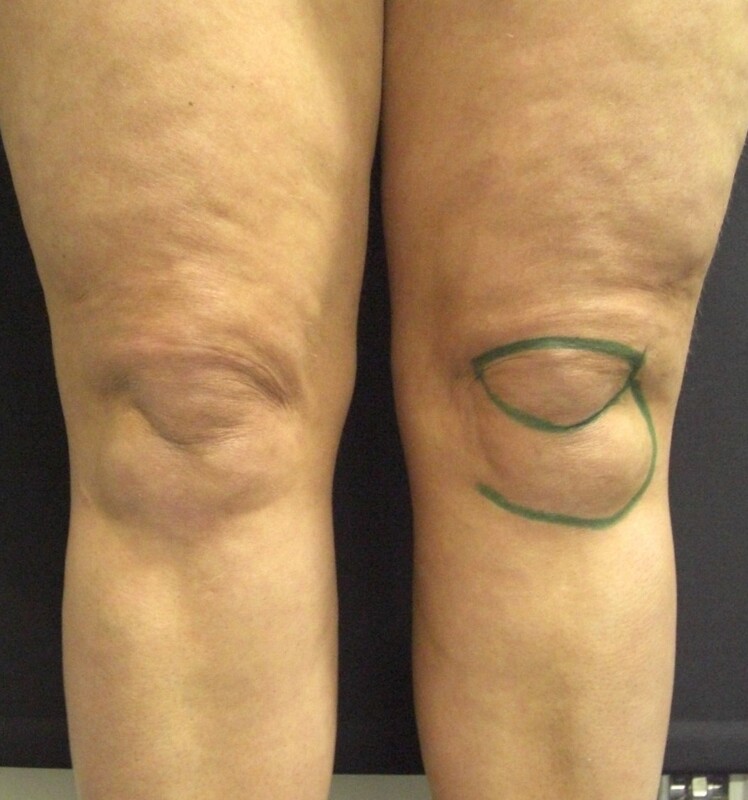 Knees before knee liposuction. Dr Vidal.London. Knees after knee liposuction. 8 months. Dr Vidal. London. You can see on these pictures that the knee is surrounded by many small stubborn fat pockets which are impossible to get rid of just with diet and exercise. This can be seen with any patient, old, young, thin, overweight, healthy and active lifestyle or a bit lazy. No difference. Also, these fat deposits are rarely symmetrical and this adds to the unpleasant look. The fat excess above the knee is pushing the knee cap (letter P) downward. On this picture you can see a very attractive, healthy and active young woman. But she was not happy with her knees. Once the different parts and fat pockets are individualised during the examination it becomes obvious that the knee cap (the letter P area) is looking downward. This is because the knee cap is pushed down by the fat located above. The knee cap is also pulled down by the fibrous fat tissue located below. 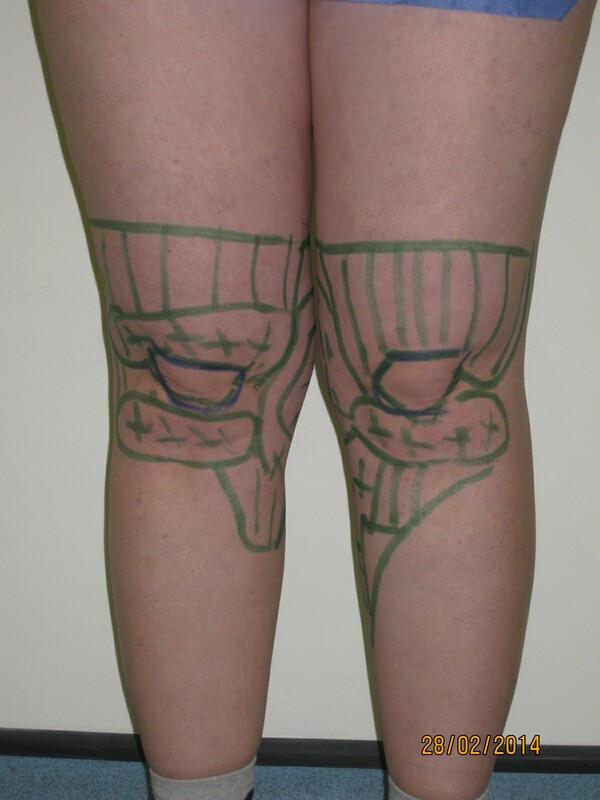 As these drawings show, resculpting the knee is not such a simple thing as you have so many different elements to take in account before the treatment. The inner knee is also a common source of concern for many patients. There too, this is seen on a slim patient. On these pictures you can see the back of the legs. Inner knee fat pocket organisation. Dr Vidal. London. -We perform this procedure with a local anaesthesia. The area to be treated is infiltrated with an anaesthetic solution. -The second step is the use of a laser lipolysis device. A laser fiber is inserted into the fat layer. This will melt some fat but more importantly will prepare the area for the insertion of a liposuction cannula. Another reason for using a laser is that the skin retraction and quality will be greatly improved. -The final step is the liposuction itself. Cannulas are small as they must work into small areas. The objective is to correct and rebalance what has been evidenced during the clinical examination and by the drawings. With the local anaesthesia and laser technique the immediate recovery is very fast. You leave the clinic on your feet after the procedure. We recommend to take two days off because of the normal leaking from the incisions. Bruising is normal in this area and will subside in two weeks. But It will take some time to get the final result, usually 8 months. Knees are a sensitive and delicate area, you have to be patient with them. They also have the full body weight pushing on them constantly. Swelling can be important at the beginning and decreases gradually in a few months. Collagen and tissue remodeling will still getting and looking better after a year. A high quality compression garment is more than recommended at least several hours a day for a few weeks. Patients learn very quickly when they need it and when they can take it off. Happy patient with a short skirt. Dr Vidal.London. When the indication is correctly examined and justified, knee liposuction is a very rewarding procedure for the patient. Patient quality of life is greatly improved. Dr Vidal practices at the Skin Oasis Clinic. 25-27 George Street.London W1U 3QA. Knee liposuction costs : £ 2500-£3000 all included. Aesthetic Plast Surg. 2013 Apr;37(2):246-53. doi: 10.1007/s00266-012-0027-7. Epub 2013 Jan 26. This entry was posted in liposuction clinic central london and tagged liposuction london . Dr Vidal . on by thierry.